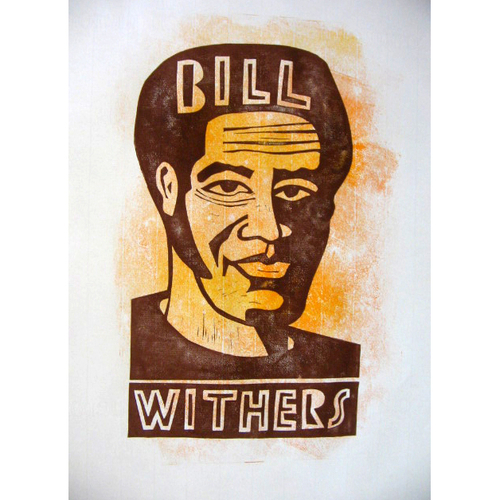 Hand printed linocut portrait of Bill Withers on acid free paper. Approx 26 x 35cm. Each copy is printed on a one off background.